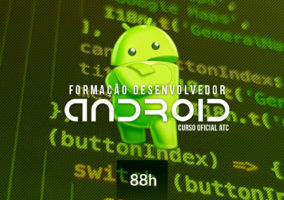 O desenvolvedor MCSD: App Builder formado no Infnet Training domina técnicas de programação para a plataforma .NET. É um profissional apto a enfrentar o dia a dia do desenvolvimento de um sistema corporativo web e de gerar soluções alinhadas às necessidades das empresas. É uma formação prática, repleta de exercícios e exemplos que aproximam o aluno dos desafios reais do desenvolvimento de software. Tudo isso com o auxílio de instrutores certificados pela Microsoft e com experiência de mercado. Ao término da formação, você está preparado para obter a certificação MCSD (Microsoft Certified Solutions Developer) App Builder. Estudantes de TI que desejam trabalhar com uma das plataformas de desenvolvimento que oferece as melhores oportunidades profissionais. Conhecimento de inglês técnico, para leitura e exercícios das apostilas, quando necessário. 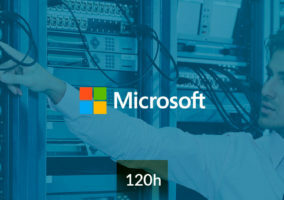 A formação é totalmente prática, baseada na nova geração de certificações da Microsoft. Nas aulas, utilizamos o Visual Studio 2017. São 160 horas de aula com os melhores instrutores oficiais, que podem ser concluídas em torno de 5 meses. – Explain how to use Visual Studio 2017 to create and run a Web application. – Describe the new features of HTML5, and create and style HTML5 pages. – Send and receive data to and from a remote data source by using XMLHTTPRequest objects and Fetch API. 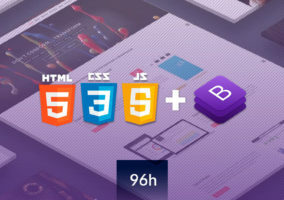 – Style HTML5 pages by using CSS3. – Use common HTML5 APIs in interactive Web applications. – Create Web applications that support offline operations. – Create HTML5 Web pages that can adapt to different devices and form factors. – Add advanced graphics to an HTML5 page by using Canvas elements, and by using and Scalable Vector Graphics. – Enhance the user experience by adding animations to an HTML5 page. – Use Web Sockets to send and receive data between a Web application and a server. – Improve the responsiveness of a Web application that performs long-running operations by using Web Worker processes. – Use WebPack to package web applications for production. Material didático: Oficial Microsoft, em inglês e em formato digital. Objetivos: This training course teaches developers the programming skills that are required for developers to create Windows applications using the Visual C# language. During their five days in the classroom students review the basics of Visual C# program structure, language syntax, and implementation details, and then consolidate their knowledge throughout the week as they build an application that incorporates several features of the .NET Framework 4.7. – Describe the core syntax and features of Visual C#. – Create methods, handle exceptions, and describe the monitoring requirements of large-scale applications. – Implement the basic structure and essential elements of a typical desktop application. – Create classes, define and implement interfaces, and create and use generic collections. – Use inheritance to create a class hierarchy and to extend a .NET Framework class. – Read and write data by using file input/output and streams, and serialize and deserialize data in different formats. – Create and use an entity data model for accessing a database and use LINQ to query data. – Access and query remote data by using the types in the System.Net namespace and WCF Data Services. – Build a graphical user interface by using XAML. 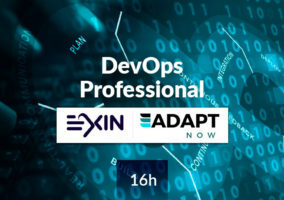 – Improve the throughput and response time of applications by using tasks and asynchronous operations. – Integrate unmanaged libraries and dynamic components into a Visual C# application. – Examine the metadata of types by using reflection, create and use custom attributes, generate code at runtime, and manage assembly versions. – Encrypt and decrypt data by using symmetric and asymmetric encryption. 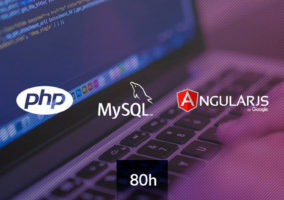 Objetivos: In this course, the professional web developers will learn to develop advanced ASP.NET Core MVC applications using .NET Core tools and technologies. The focus will be on coding activities that enhance the performance and scalability of the Web site application. This course will also prepare the student for exam 70-486. – Describe the Microsoft Web Technologies stack and select an appropriate technology to use to develop any given application. – Design the architecture and implementation of a web application that will meet a set of functional requirements, user interface requirements, and address business models. – Configure the pipeline of ASP.NET Core web applications using middleware, and leverage dependency injection across MVC application. – Add Controllers to an MVC Application to manage user interaction, update models, and select and return Views. – Develop a web application that uses the ASP.NET Core routing engine to present friendly URLs and a logical navigation hierarchy to users. – Create Views in an MVC application that display and edit data and interact with Models and Controllers. – Create MVC Models and write code that implements business logic within Model methods, properties, and events. – Connect an ASP.NET Core application to a database using Entity Framework Core. – Implement a consistent look and feel across an entire MVC web application. – Add client side packages and configure Task Runners. – Run unit tests and debugging tools against a web application in Visual Studio 2017. – Write an MVC application that authenticates and authorizes users to access content securely using Identity. – Build an MVC application that resists malicious attacks. – Use caching to accelerate responses to user requests. – Use SignalR to enable two-way communication between client and server. – Describe what a Web API is and why developers might add a Web API to an application. – Describe how to package and deploy an ASP.NET Core MVC web application from a development computer to a web server. Objetivos: In this course, students will learn how to design and develop services that access local and remote data from various sources. 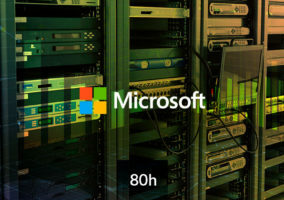 Students will also learn how to develop and deploy services to hybrid environments, including on-premises servers and Microsoft Azure. – Describe the basic concepts of service development and data access strategies using the .NET platform. – Describe the Microsoft Azure cloud platform and its compute, data, and application hosting offerings. – Design and develop a data-centric application using Visual Studio 2017 and Entity Framework Core. – Design, implement, and consume HTTP services using ASP.NET Core. – Extend HTTP services using ASP.NET Core. – Host services on-premises and in Microsoft Azure. – Deploy services to both on-premises and cloud environments and manage the interface and policy for their services. – Choose a data storage solution, cache, distribute, and synchronize data. – Monitor, log, and troubleshoot services. – Describe claim-based identity concepts and standards, and implement authentication and authorization with Azure Active Directory. – Create scalable service applications.